RE: David Sirota’s “Colorado proves politicians can’t fear gun reform” column that appeared on September 16 in the Summit Daily News. As a Coloradan, Mr. Sirota, you know that the recall wasn’t just about gun control. It had a lot to do with this year’s legislature ramming everything on their plate down everyone’s throat. They threw voter integrity out the window: allowing liberal teachers to preregister children into the Democratic Party, doing away with voter ID (just a well worn utility bill somehow tells us that a voter is 18, not a felon, and a U.S. citizen), doing away with residency requirements, and forcing 100% mail ballots, the easiest way to commit voter fraud. This legislature is wooing illegal immigrants to our state with the promise of driver’s licenses and lowered tuition, and the hope that Coloradans will pass a huge tax hike to provide close to a billion dollars to second language learners and “at-risk” kids. We saw civil unions become law with no feedback allowed from Colorado citizens. 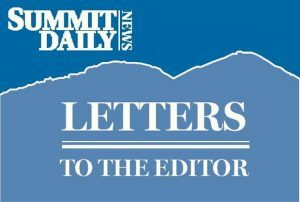 This legislature further demanded huge increases in utility costs for rural Colorado under the guise that it will help the world combat climate change (which it won’t; Colorado could go dark for the next 50 years and it would make less of a difference than one volcano or major solar flare). We saw Governor Hickenlooper waffle on capital punishment, and finally make no decision on Nathan Dunlap. Gun control? This year’s legislature brought in Representative Gifford’s husband, Mayor Bloomberg and a host of other out-of-staters to plead this legislature’s cause. Our own Diana DeGette made a fool of herself talking about gun laws when she apparently knows zero about firearms. This legislation caused at least one, if not several, businesses to flee our state and set up elsewhere. Finally, thanks again to this year’s legislature, we are witness to several counties wanting to secede from Colorado. No, Mr. Sirota, the recall was just a way of fighting back the arrogance, the “my way or no way” attitude, and the unrepresentative culture of this Democrat legislature.